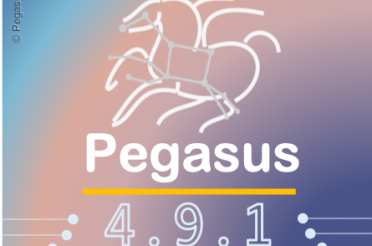 Pegasus is open source and available under the Apache V2 license. These packages are relocatable, and can be placed anywhere on the filesystem as long as the bin/ directory gets added to your PATH. These packages are used internally by Pegasus in case the remote compute site does not have Pegasus installed. These packages are to support users with DAX generators in other languages. For example, the R DAX API allows easy creation of complex and large workflows in R environments. The API follows the Google' R style guide, and all objects and methods are defined using the S3 OOP system.